In 2017, Easter will be observed on April 16. Easter and spring in general is a wonderful time to visit Memphis due to the comfortable weather and plethora of events and festivals, including Easter events and things to do. Here's a list of places to have your kids' pictures taken with The Bunny or take them to an egg hunt. Big kids can bring their flashlights and go on a special nighttime Easter egg hunt. The Germantown Eggstravaganza is a wonderful event for younger children. It offers age divided Easter egg hunts, free games, a visit with the Easter bunny, a petting zoo, moon bounce and much more -- all for free. Saturday, April 8th, 10:00 a.m. -5:00 p.m.
Sunday, April 9th, 12:00 Noon -5:00 p.m.
Mon. – Thurs. April 10th – 13th, 9:00 a.m. – 5:00 p.m.
Good Friday, April 14th, 10:00 a.m. -5:00 p.m.
Saturday, April 15th, 10:00 a.m. -5:00 p.m. Cost: $10, free for ages 2 and under. Price includes: Entry into the farm, a hayride out to the egg hunt field (1 Egg Hunt which includes 12 eggs per child), the Petting Zoo, the Chicken Show, a ride on the Cedar Hill railroad, visit with the Easter Bunny on April 14 and 15 (bring your own camera), a hay fort, and use of the play and picnic areas. The annual Bunny Hop co-hosted by Junior Auxillary of Collierville and Main Street Collierville is not technically an Easter Egg Hunt, but the family-friendly event is full of dancing, games, Easter Bunny photo ops and more. Attendees are encouraged to bring canned food to donate to those in need within the Collierville community. Meet the Easter bunny and enjoy the fun with over 50,000 candy-filled eggs, moon bounces, face painting, petting zoo and train rides. Explore fire trucks and enjoy free popcorn and drinks. Don't forget to bring your camera and Easter baskets. There are three egg hunt age groups. 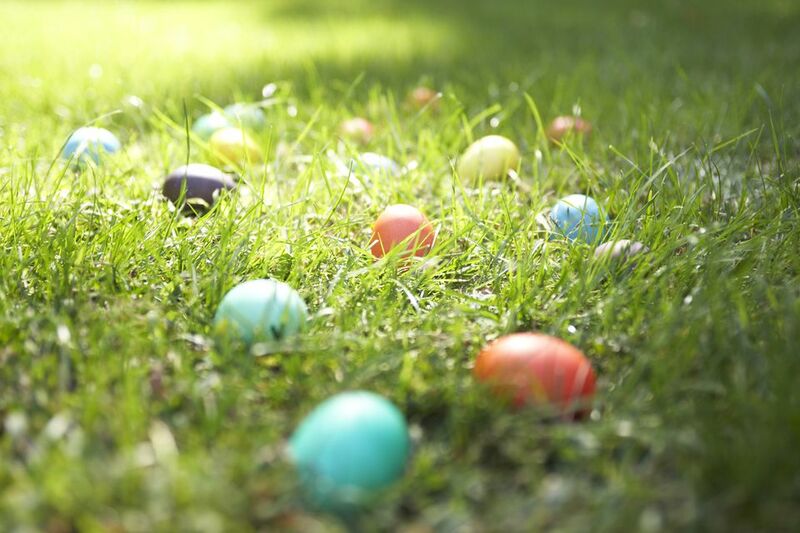 Let your children go on age specific Easter egg hunts that are set up throughout the 96 acres of gardens. 9:20 a.m. - 11 a.m.
Take the kids to two different egg hunts (South Lawn - ages 4 to 8 and Picnic Area - ages 3 and under), plus meet the Easter bunny, make Easter crafts, and enjoy snacks and lemonade. Be sure to check out the 2017 Easter Brunch Guide!